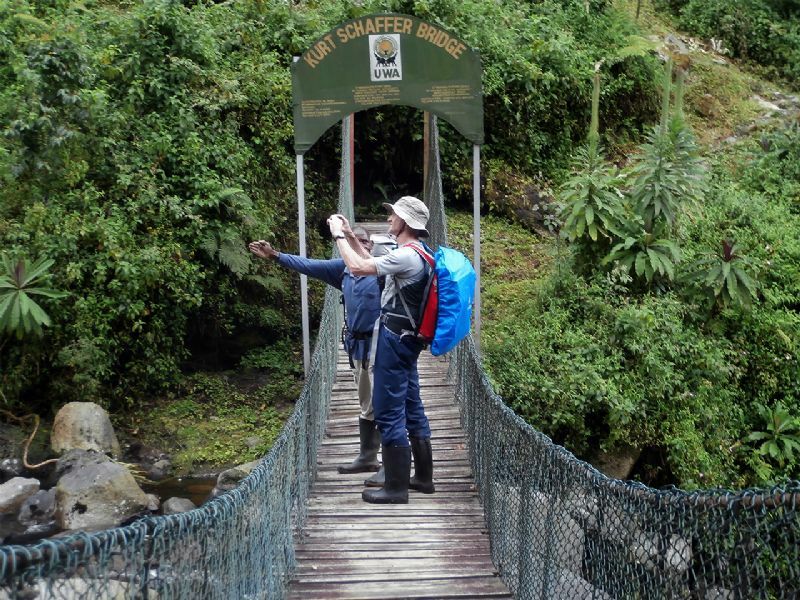 The trip into the Rwenzori is an exhilarating and rewarding experience but one which must be well planned. The key to an enjoyable visit is to 'be prepared'. 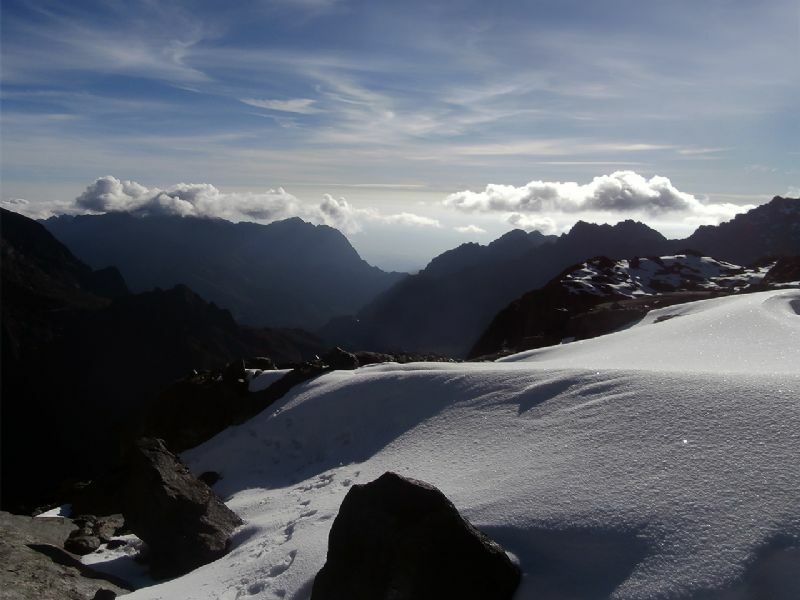 The central circuit hike takes six nights seven days and reaches an altitude of 4267m (14,000f) above sea level. See the glaciers and snow all by yourself! 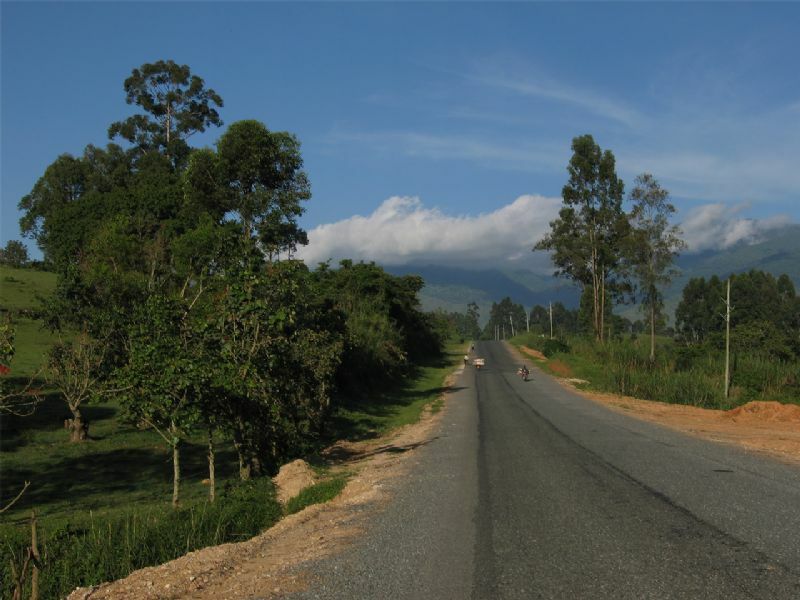 After breakfast we drive to Rwenzori Mountains National Park. The guide will check your equipment for the hike, to make sure you will go very well prepared. 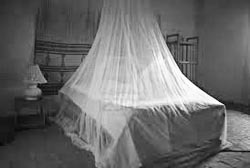 Anything missing can be rented in Kasese. Transfer to the starting point of the hike! 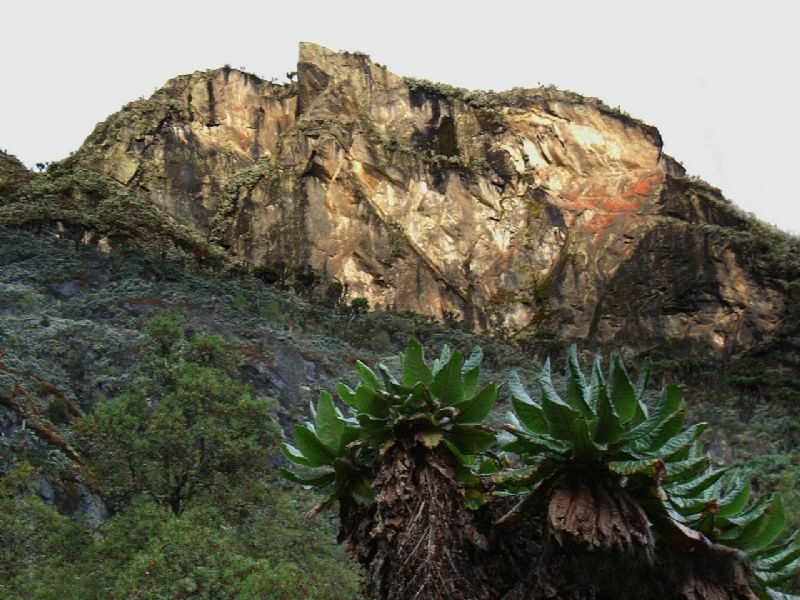 The "central circuit" trial of Rwenzori is the main hiking activity which people undertake when visiting the mountain range. 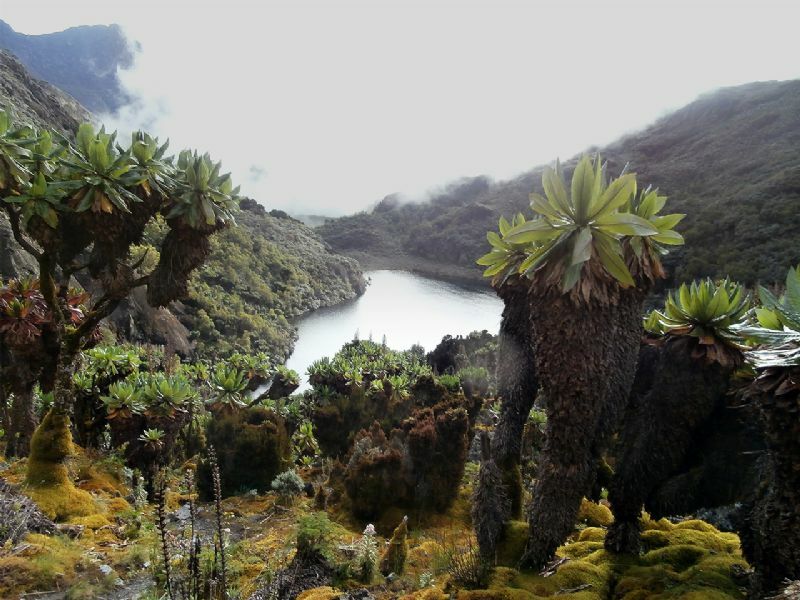 It consists of a hike lasting six nights and seven days, starting from the headquarter of the Rwenzori Mountains National Park at Nyakalengija. 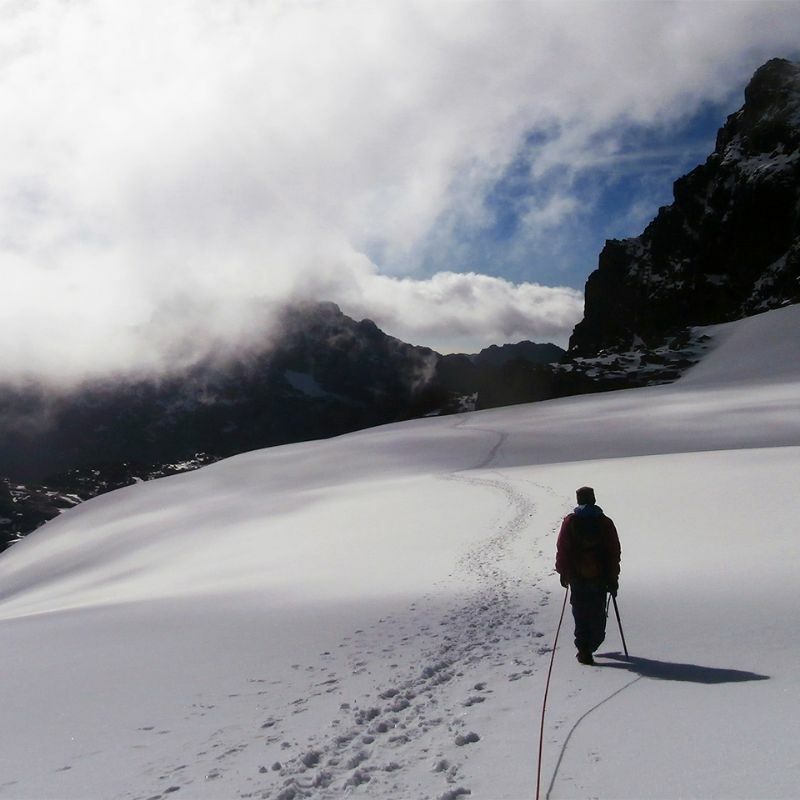 Then the trial follows a circular path around Mount Baker, spending the night in five different Huts, and reaching a maximum altitude of 4.372m. at Scott Elliot Pass. The circuit gives the opportunity to see very close the peaks and glaciers of Mount Speke, Mount Stanley, Mount Luigi di Savoia, Mount Baker. Everybody is able to manage the hike, as the level of difficulty is not so high. For the mountain climbers, it is possible to reach all the major peaks, only adding one day extension to the trial per each peak. 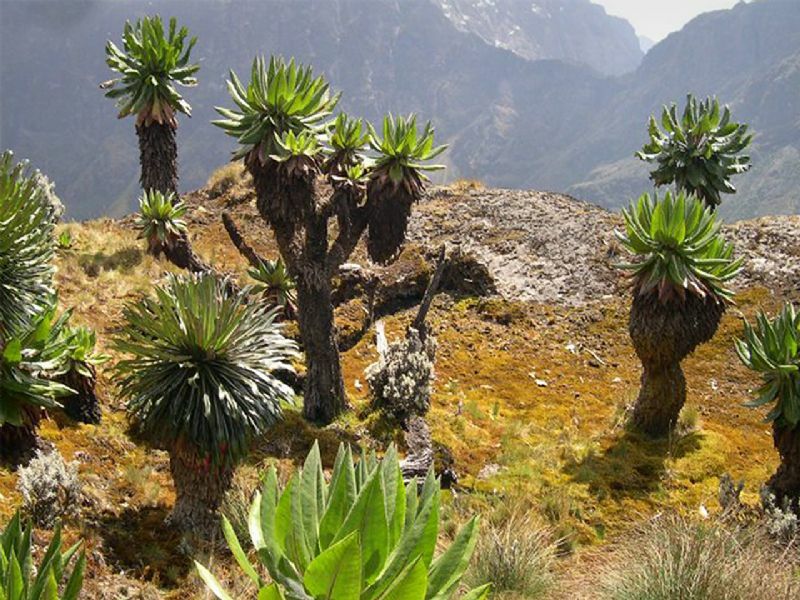 The central circuit is the best experience of Rwenzori, its landscape and vegetations. 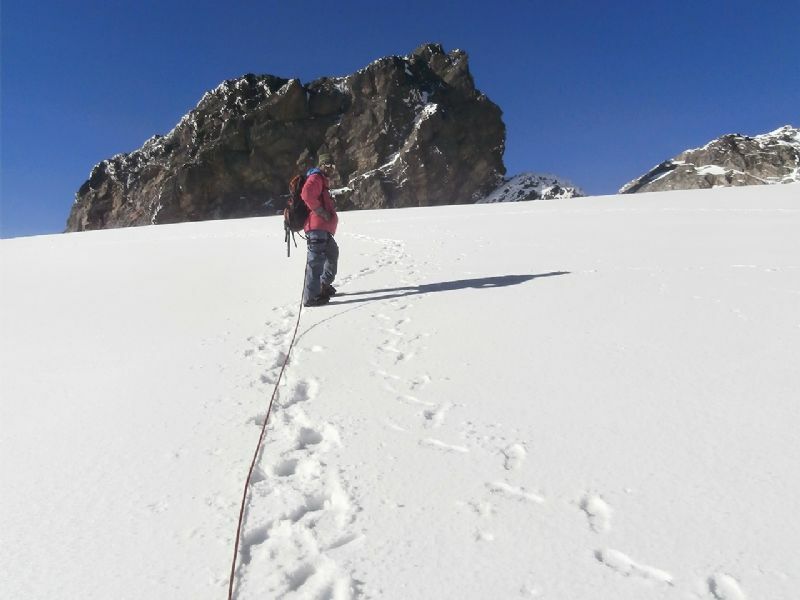 From the Rwenzori Mountains National Park Head Quarter at Nyakalengija, 1.646m, you will receive the briefing from RMS (Rwenzori Mountaineering Services) and UWA (Uganda Wildlife Authority), with the possibility of renting equipment. 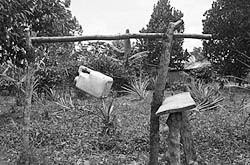 The hike starts through the plantations and homes of the Bakonjo, the people of the mountain, gradually reaching garden plots and elephants grass. You follow the Mobuku river, until crossing the Mahoma river. The trail passes through an open bracken fern slopes and Podorcarpus Forest, up to Nyabitaba Hut, 2.652m., which is the arrival point for the day. This will take from 5 to 6 hours. 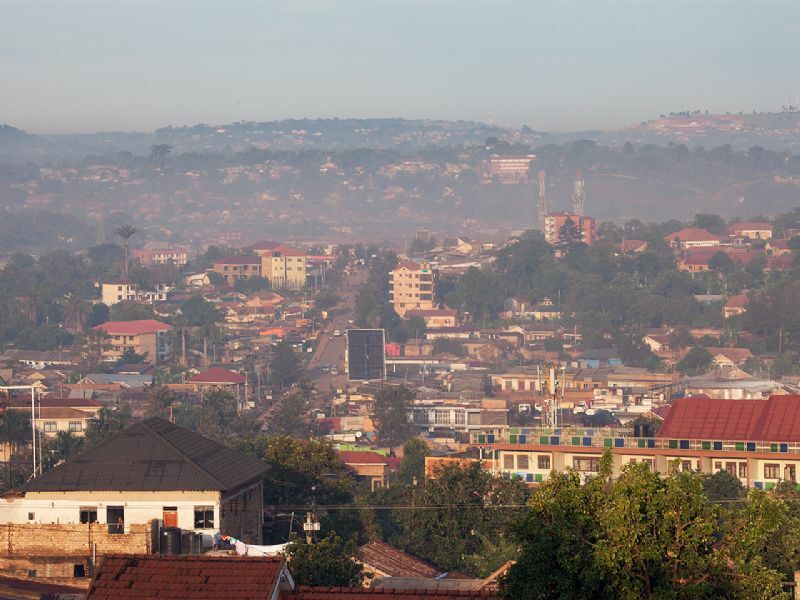 From the location, you are facing on the North the Portal Peaks, 4.627m., in front Mount Kyniangoma. 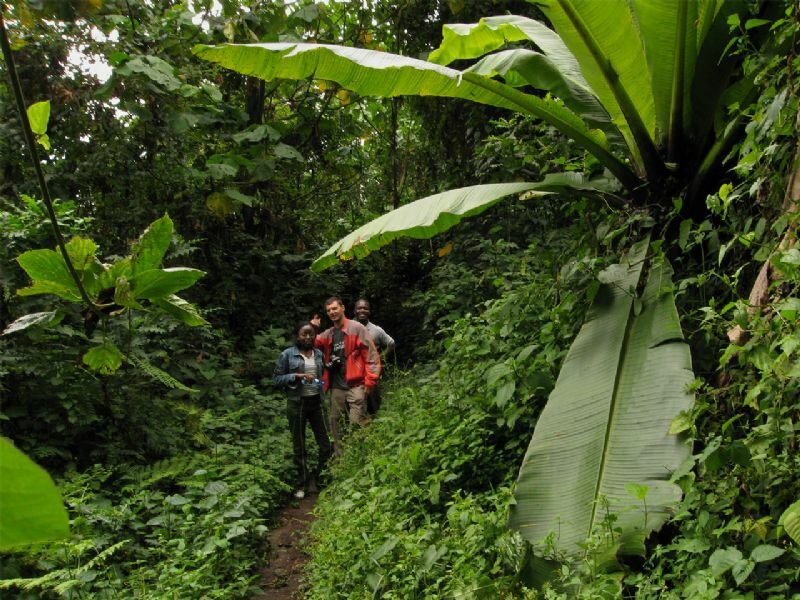 During the day, you might see monkeys, the Rwenzori Turaco and hearing the chimpanzees. From Nyabitaba Hut you cross the Kurt Shaffer Bridge, through a muddy area. Then the trail climbs up through the bamboo forest. You reach a steep rocky area, which leads to Nyamuleju Hut. This point marks the start of the giant lobelia and groundsel zone. The way proceeds through a bog full of typical plants along the Bujuku river. The final point is John Matte Hut, 3.414m. for spending the night. From Nyabitaba Hut to John Matte it can take approximately 6 hours. Enjoy the view of Mount Stanley and snow capped Margherita and Elena Peaks. From John Matte Hut you cross the Bujuku River and enter the lower Bigo bog, a grassy bog where you experience how to jump from tussock to tussock. You reach Bigo Hut and enter the upper Bigo bog, proceeding to Lake Bujuku, where it is starting the alpine savannah zone of little vegetation. You finally arrive at Bujuku Hut, 3.962m. This day hike can take up to 5 hours. There you have a view on the peaks of Mount Stanley, Mount Baker and Mount Speke. 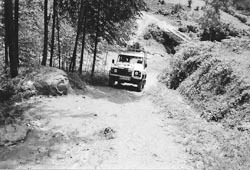 From Bujuku starts the diversion for whom intends to climb Mount Speke. For climbing Margherita and Alexandra peaks it is advised to proceed to Elena Hut for overnight. From Bujuku Hut you climb through moss draped groundsel vegetation, to Scott Elliot Pass, 4.372m., the highest point of the loop trail. The path is very rocky and steep, at the foothills of Mount Baker. Enjoy a spectacular view of Margherita peak, Elena and Savoia glaciers and Mount Baker. You reach Upper Kitandara lake through thick mud to Lower Kitandara lake where is located Kitandara Hut, 4.023m. Kitandara in the local language means "fresh field", as a cold wind is blowing into the valley. Time to complete the hike about 5 hours. 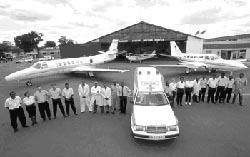 During this tract, it is recommended to check any sign of altitudes sickness or hypothermia. From Kitandara Hut you can proceed for climbing Mount Baker or Mount Luigi di Savoia and the peak Vittorio Sella. From Lake Kitandara you climb to Freshfield Pass, 4.282m., a long flat of high alpine mossy glades, before descending the circuit among rocky and boggy areas. The panorama is dominated by the glaciers of Mounts Stanley and Baker. A muddy trail leads to Akendahi, Bujongolo and Kabamba rock shelters, where starts the Kabamba valley down to Guy Yeoman Hut, 3.261m. This can take up to 6 hours. The hut is surrounded by a beautiful landscape of mountains, vegetations and rivers. 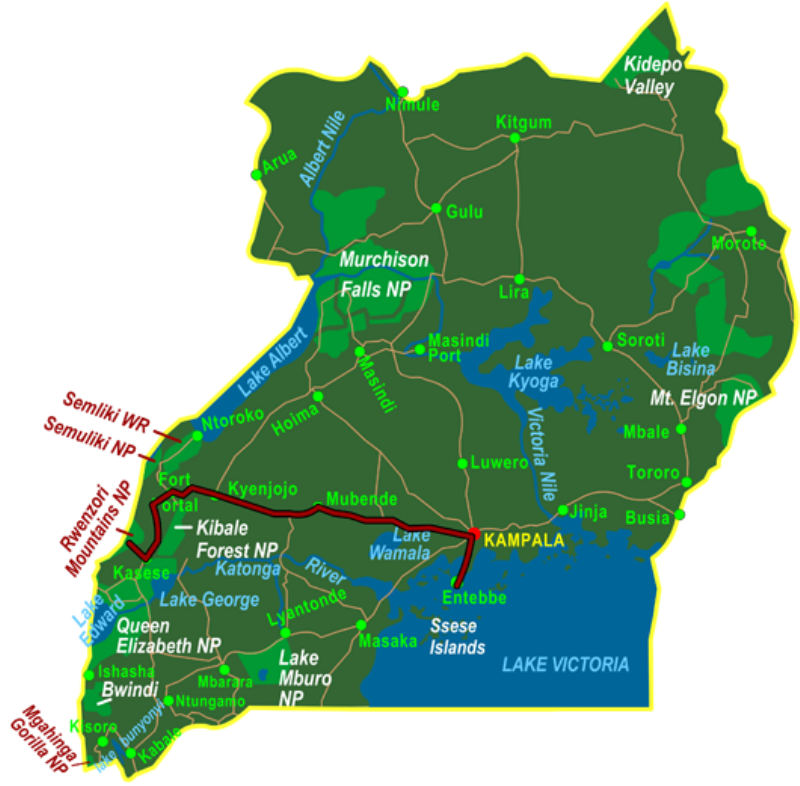 In this day you complete the central circuit by going back to Nyabitaba Hut. The trial is attractive along the valley of the Mobuku and Kichuchu rivers, rich in plants and flowers of the heather zone before reaching the bamboo forest. See Kabamba falls on the way. Time to reach Nyabitaba is about 6 hours. 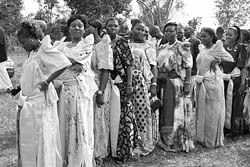 Eventually, you decide to terminate the trial by descending directly to Nyakalengija, adding 2 to 3 more hours. From Nyabitaba to reach Nyakalengija it can take up to three hours. From Nyabitaba starts the 40 minutes trail to see Lake Mamoha and back to the hut for descending to the Park Head Quarters. Transfer to the hotel. 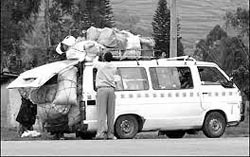 Transfer back to Kampala. 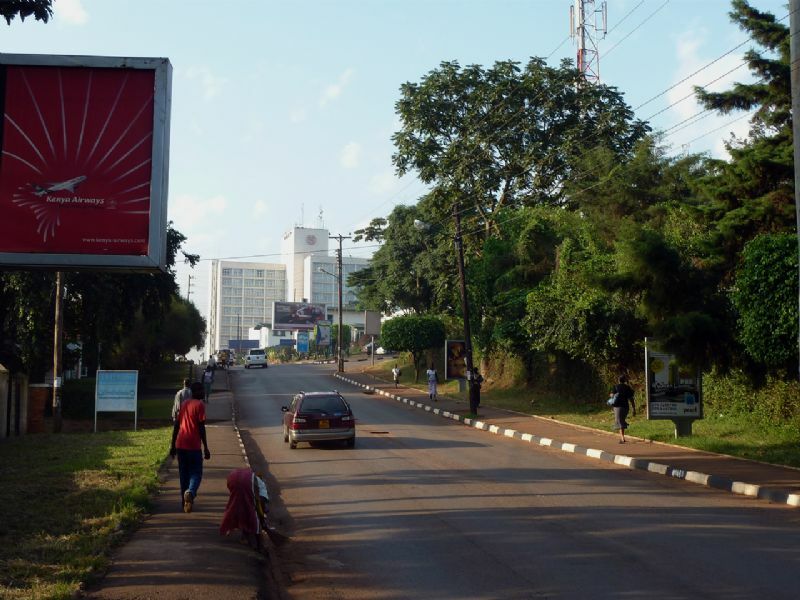 We will make a stop in Kampala for shopping. Transfer to the airport for your departure.